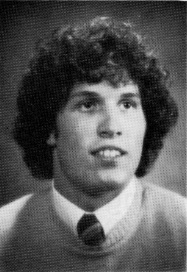 Jim was named Associated Press First Team All-State Clas C as a linebacker in 1982. Jim was also named to the First Team Capital Circuit, All Clinton County as a linebacker, All-Area (Lansing State Journal), All-Area Player of the Year, Detroit Free Press First Team All State and United Press International Honorable Mention. Seegraves rushed for 656 yards his senior year as the full back in Gail Thornton’s wishbone backfield and was the lead blocker for DeWitt’s first ever 1,000 yard rusher, Jim McCarthy. His forte was defense. He had 135 solo tackles and 137 assists for 259 total tackles. Thornton said Jim was the hardest hitter he ever coached. Seegraves may have been one of the most pure physical football players ever at DeWitt. Many times, Seagraves would have to sit out of hitting drills or scrimmages because he was just that hard of a hitter. Defensive coach Tom Zielaskowski said "he had that explosive half step that you just can't coach. And with a guy his size, it was just devistating." Seegraves started at Western Michigan University as a true Freshman, in 1983 next to Ken Offerdahl, who went on to play for the Miami Dolphins. Many compared Seegraves to Offerdahl. Westernn Michigan was coached by Jack Harbaugh, Jim and John Harbaugh’s father.